Winnipeg Jets sign Brendan Lemieux. #Jets - Very Barrie Colts | A website covering the Barrie Colts of the OHL. 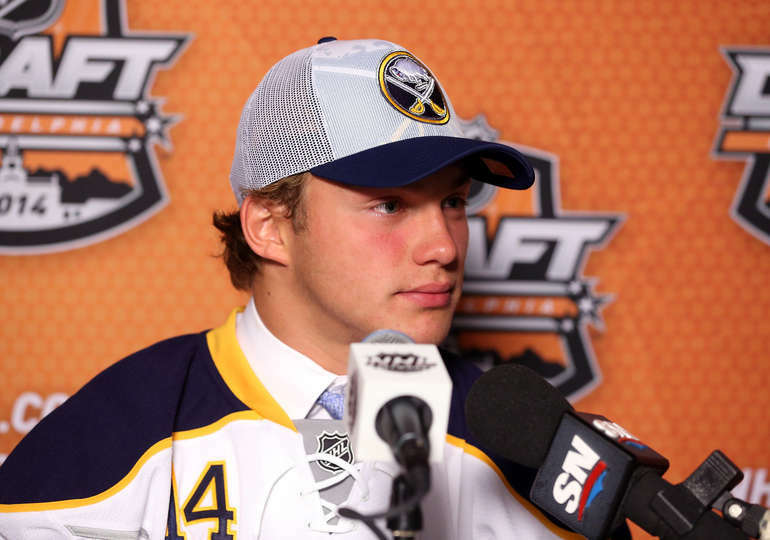 The Winnipeg Jets and Barrie Colt forward Brendan Lemieux have come to terms on a contract. The contract is a 2-way deal for 3 years and is worth an average annul value of $1.125 million. 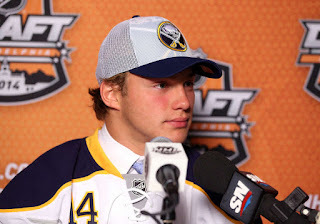 Brendan was originally drafted by the Buffalo Sabres 31st overall at the NHL 2014 draft. He was traded to the Winnipeg Jets on Feb, 11th 2014 as a part of the big deal that saw Evander Kane moved to Buffalo. 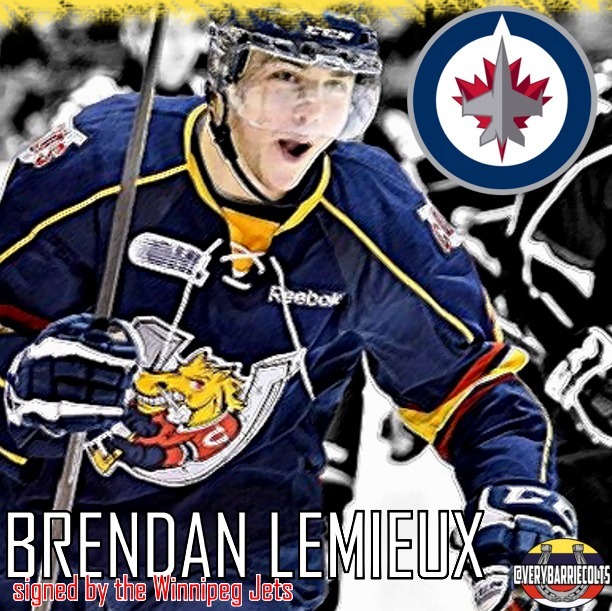 Lemieux is coming off of a strong year with the Barrie Colts. In 57 games played he scored a total of 41 goals (11th most in OHL) and 19 assists for a total of 60 points. Lemieux lead the OHL with power play goals scoring 25 on the year. 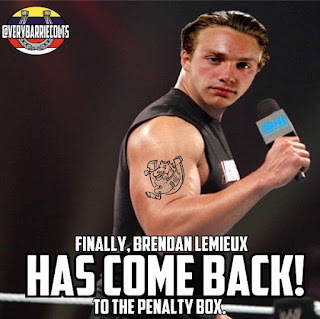 Lemieux also was tied for second most game winning goals in the league with 8 which he shared with Conner McDavid. 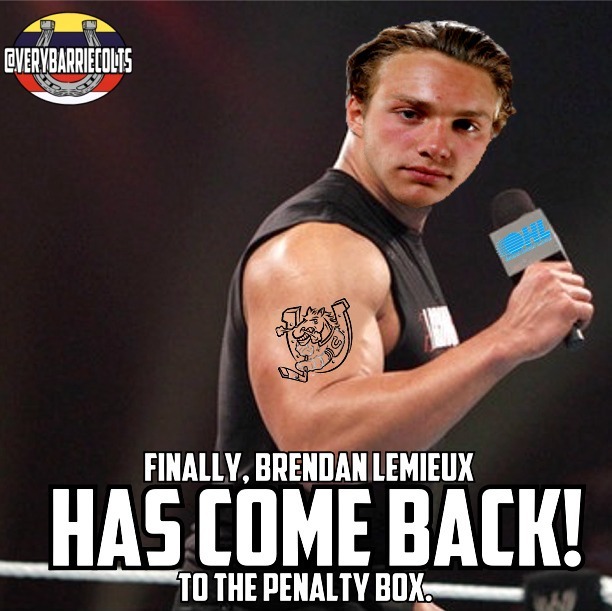 Lemieux also had the second most penalty minutes in the OHL with 145. Part of Brendan's game is he can be aggressive and very emotional. Not only does he take some "questionable" calls but it is not uncommon that he would get called this year because of the name on his back. Though, that number of minutes spent in the box can be scary it can be noted that he will have a fresh start in the NHL. He is young and has so much potential. End of the day, the Jets have signed a young player with an amazing ability to put pucks in the net. He has a very strong net front presence and has a real skill to sucker opposing players to take poorly timed penalties and usually ends up being the guy to score the power play goal. Height 184 cm / 6'0"
Congratulations to Brendan Lemieux and the Winnipeg Jets on this deal! Oh, and one last thing.. 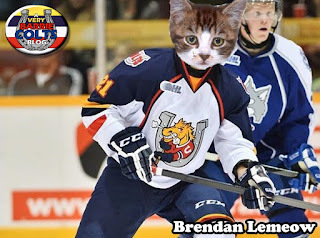 Here is Lemieux with a cat head. You're welcome, Jets fans!